Dogs don’t know how to behave unless you teach them. That’s why basic dog training is something that every owner should spend some time learning. Here are a few things that you should know. When it comes to behavior, there are a few different problems that owners experience. Chewing and aggression are among the most common. Some dogs also like to jump up on furniture or people to show their excitement. None of these are desirable behaviors. It is vital that you don’t procrastinate with correcting these bad behaviors. Don’t do grow out of them. If they’re allowed to continue, your dog will think they’re perfectly fine. Although plenty of owners like to speak to their dogs like they’re human, they don’t have the ability to understand our words. They pay more attention to your tone of voice instead. That’s why you’ll experience issues with basic dog training if you use the same tone of voice at all times. When teaching your dog a command such as sit or jump, it’s important to use a higher pitch. If he jumps up on the couch where he’s not welcome, tell him off with more bass in your voice. Almost every owner has stumbled across something their dog did while they weren’t around. Most are tempted to call their dog over to reprimand him for the misdeed. This is one of the most common mistakes with basic dog training. If you call your dog over to punish him, he’ll associate punishment with responding to your call. When things start getting better with training your dog, make sure that he knows it. Give him plenty of praise whenever he does something right. Treats will definitely be appreciated. It’s best that you give special treats during training, treats that he won’t get at any other time. Dog training requires lots of patience. No matter how smart you think your dog is, don’t try to rush things. Conversely, don’t think that your dog is too stupid to learn basic things either. There is no such thing as a canine that can’t be trained. If things don’t go well, it is likely the fault of the owner. Consistency is of the utmost importance with training. Correct bad behaviors on a consistent basis. Reward your dog when he does well too. When trying to teach your dog commands, it’s best that you stick to a schedule. Don’t start training then put it off for a few days and come back to it. 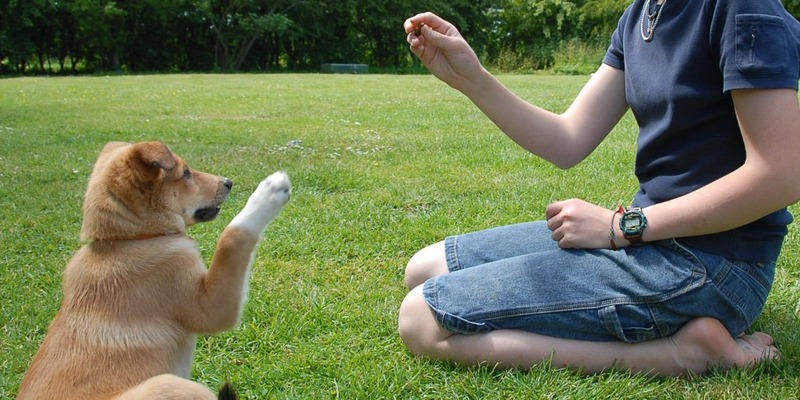 Hopefully, these tips will set you on the right track with basic dog training. If you aren’t up to the task, you’ll always have the option of hiring a professional for the job. Training your dog is just one aspect of caring for him. You should also be aware that you may have issues with various issues such as dog diarrhea. Head over to common-dog-diseases.com today to learn about many of these health issues in dogs.